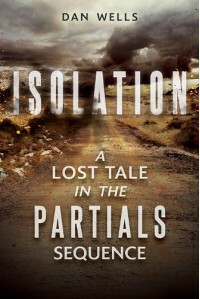 If you like The Partials Sequence then you should read this. It was way cool to learn a little of the back story. This is about The Isolation War. The war that started it all or ended it, whichever you prefer. This is told from Partial Mei's pov. There is alternating chapters between the war and Mei's inception, plus training.